Client Garrett Asks: I’m considering a career change, but it’s been a while since I’ve had to look for a job. Is there anything I need to be aware of before I start my job search? Coach Joel Answers: Whether you are unemployed or employed and looking for a job, you need to be prepared before the job search even begins. When you start your job search with a plan, your strategy, daily game plan and overall focus help you find the right job more quickly. Don’t be like most people who start a job search by immediately applying for jobs, sending out updated resumes and telling people the 4-5 jobs they want without any thought process before they jump in. 1. Prepare for a long job search. On average candidates take about six to nine months to find a job. Even though you might have excellent experience, a solid track record and well-known companies you’ve worked for, the job search period will be longer than you expect. It’s vital that you are prepared for this extended amount of time. Even the most qualified can take up to a year. Make sure you have enough finances to cover the length of your job search. Save as much money as you can, cut expenses and create and stick to a budget. 3. Confront fear and self-doubt. Even before you start your job search, it’s common for many to feel fear and self-doubt. Fears around not being able to find a job, it taking too long, doubting your confidence, becoming needy to find a job and questioning your overall worthiness. 4. Dedicate plenty of time to the job search. The more time you spend daily, the less time the job search will take. However, most people resist making the required commitment. The minimum amount of time to commit should be 20-25 hours a week and, if you aren’t working, the maximum amount should be 40 hours a week. If you are working, expect to spend 4-6 hours a week and the maximum will be 20-25 hours a week. 5. Create a daily schedule. Schedule and make time for the most important things related to your job search. Block out chucks of time to avoid distractions. For example, you might designate 9-11:30am on Mondays, Wednesdays and Fridays for you to work on the most important things that need to get done related to executing your job search plan. Create a document (e.g. Excel spreadsheet)to track the names, numbers, emails and vital information about your contacts as you move forward in your job search. This organized document will be vital as you follow-up with people you contacted in the past and need to recall their key information. Ask yourself questions about the location of your next job. Are you willing to live in other locations? If so, where do you want to live? Once you have accomplished all of the above, you are now ready to target the exact role, industry and job you most want. This involves creating your resume, networking, interviewing and salary negotiation. Talkback: Have you conducted a job search lately? 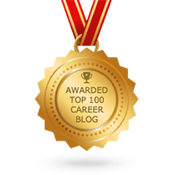 What tips do you have for others who are planning to change careers? January 19, 2015 Comments Off on Conducting a Job Search? You’ve seen multiple colleagues promoted ahead of you, despite your better job performance. You have received nothing but praise and great reviews, month after month, but still, career advancement eludes you. You don’t have time to delegate, and can’t take a holiday without being bombarded with questions only you can answer. Any of this sounding familiar? Too often, hard-working, intelligent managers are passed over for promotions because they have struggled to make the necessary transition from their current role to a strategic leader for the business. In fact, they have become too good at their role, and therefore made themselves an indispensable part of their team, inhibiting both personal and team growth. Richard Jolly, an Adjunct Associate Professor of Organisational Behaviour in the General Management programmes at London Business School, writes extensively on the topic of indispensability in this article, which has served for the inspiration for this post. 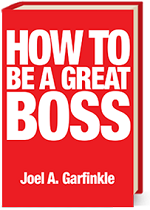 There are several ways, he writes, in which effective employees can make the transition from being an individual contributor to providing strategic direction to the business and the team. It is, firstly, important to see the dangers of being indispensable, and see that effective managers are not “irreplaceable”. Then, it is key to see how the second half of your career differs from the first, and what that means for relinquishing control, delegating, and educating your team to open yourself up for career advancement. Indispensable asset or a bottleneck? Indispensability is typically thought of as a desired quality, a goal even. It indicates you are a valued, respected, and knowledgeable member of the team, and it typically ensures job security. So, why is being indispensable so dangerous to your colleagues and your career? Being indispensable can create a poor work environment for yourself and others. It means you are the only resource for certain questions and tasks, turning you into a bottleneck rather than an asset. It can mean work stoppages when you are away on holiday or sick leave. It can mean you are required to respond to every email, and attend every meeting. It can create a culture of micromanagement, unnecessary work, and bureaucracy. And in the worst cases, it can create a false belief that no one else is competent enough to handle the job. Indispensability holds back your own career as well. All of the above scenarios put undue stress on you. Additionally, they create a serious incentive for your superiors to keep you in your current role indefinitely, as the cost of replacing you would be too high. Therefore, you must resist the urge to be indispensable. Strong managers do not make themselves irreplaceable. Instead, they surroundthemselves with impressive people that can handle any task. A well-run team could get along fine without a manager. Fostering a situation in which you, as the manager, are nearly unneeded means you are freed up to move on to a new role and colleague can step in to fill your shoes. Creating this environment is not the work of only a few days, however. It requires a change in approach to your current role, one that differs considerably to how you’ve approached previous ones. Early on in your career path, your value to the company is determined by your productivity and efficiency. This is most easily measured by the volume of completed tasks. However, as you move up within a company, your value needs to shift from doing things to thinking about things. Effective managers provide strategic direction to a team who then executes strategy. Strategy is far less tangible than crossing of a daily to-do list, but it is no less critical and takes just as much, if not more time. Becoming a strategic leader means providing guidance on projects, but relinquishing control over the details and process of production. Junior colleagues need to be given the opportunity to step up to prove they are capable of thinking critically, developing processes, and completing projects independently. The only way to know if a team member is ready to take on more responsibility is to step back and let them prove it to you. Allowing this progression to happen doesn’t mean you will have less responsibility. You will still have astake in the final product, and its success or failure will still lie largely with yourself. However, you will be able to step back from the day to day tasks of the creation process, and put much more thought into the strategic direction of projects, and of the team as a whole. Naturally, while shifting your role to become more strategic, the same amount of work needs to be done. To cover off the daily tasks that you’ve outgrown, delegation is key. An effective manager helps junior colleagues develop bygiving them more responsibility. Determine what some of the first regular tasks were that you were responsible for when you began your current role. These are the obvious candidates for tasks that should be delegated. Creating a sense of ownership is key to delegation. Make it very clear that after a certain point, your junior colleague is the first point of contact for the tasks or project. Ensure this is communicated throughout the team, and to appropriate external contacts, to make the change stick. You will soon find that requests that used to clog your inbox and chip away at your time are now being effectively handled by a colleague that is eager to step up to the new challenge. The delegation process will inevitably fail withoutproper education. If you are the only person that can handle a task, it is likely not because your colleagues cannot do it, but rather they have not been taught how to do it. And, since you may be the only person that knows how to do things currently, the task of educating your replacement falls to you. The most important part of education is follow through. 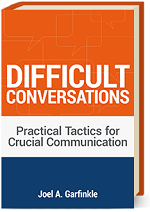 It can be frustrating to train someone on tasks that are second nature to yourself. Your own learning curve when you were first trained is easily forgotten, and therefore it is quite likely that your colleague will not learn as quickly as you expect. However, when frustration sets in, do not give in to the temptation to do it yourself. This is a short-term solution, but in the long run, it will leave you, yet again, indispensable. Instead, plan more time into deadlines to allow for training. Ensure your colleague is taking good notes. And challenge them to step up and work through their own issues with the tasks. They may develop new ways of doing things that creates efficiency and works better within their style of working. When you’ve effectively trained a replacement, delegated most of your daily tasks, and freed up time to start thinking strategically about the business, the next step in your career will be much easier. Getting a promotion won’t mean leaving your team stranded. The transition can happen seamlessly because you’ve already laid the groundwork that allows you to move on to more challenging tasks. You will be able to move from being a specialized individual contributor to a strategic leader that is guiding the group and driving the business forward. More Employers are Searching Social Media Sites! Client Isaac Asks: I work in the IT industry, and I’m preparing to search for a new position. I know that some companies are using Google to check out prospective employees. Should I be worried about this, and if so, what steps can I take to make sure prospective employees don’t find anything that could hurt me? Coach Joel Answers: Employers don’t just use Google to check out job candidates, they’re relying more on social networking. In fact, a study conducted by CareerBuilder found that 37 percent of employers use social mediasites to research potential job candidates. Information technology companies are most likely to screen candidates this way. Some 63 percent of tech companies surveyed are scouring sites such as Facebook, LinkedIn and MySpace to get an up-close, behind-the-scenes look at candidates they just can’t get from interviewing or reading resumes. So if you’re in the job market – or may be in the future – be aware of what you put out on the Internet. If it’s out there – good or bad – it’s just a mouse click away from a hiring manager. And the results can be catastrophic. CareerBuilder’s survey revealed that 35 percent of employers found social mediacontent that caused them not to hire a candidate. Google your name to see what content is out there on the internet. Check out the other major social networks to make sure you have made the impression you want to make. Identify the web pages where you have posted your resume or other work-related items and make sure they are up-to-date and reflect on you positively. Remove any content that reflects negatively on you. You don’t want a bad reputation online. Provocative or inappropriate photographs or information top the list of red flags to employers. When in doubt, take it out. Create positive content about yourself and try to get it to be as high as possible in the search results. Write and submit well researched, articulate letters-to-the-editor to the top trade publications in your industry. Focus on current, relevant issues. Purchase your name as a domain name and create an active website that makes the best impression possible. 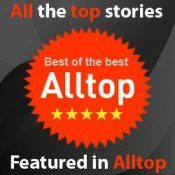 Post articles that you write that show your expertise on free publisher websites. Write comments on other blogs that show your level of intelligence, expertise and experience. Create a blog and write quality content for it. Select two of the above tips and commit to working on them this week to ensure that your online presence gives a positive impression. Talkback: Have you ever been denied a job or promotion because of something an employer found online? Tell us about it in the comments. Client Christopher Asks: I’ve been at my job for about three years now. I thought I’d just be happy in this position. I mean, I like my job and all. But I’m finding it’s getting a pretty boring. I realize I’d like a more of a challenge. But I have no idea how to figure out this career advancement process. What does it take to get a more fulfilling job? How do I even start? Coach Joel Answers: Good question, Christopher. To help you get started on your search for career and job advancement, you need to make some decisions. These choices will help you find your direction and open the path to a better job. 1. What is your career goal? I know that might be hard to answer, as you thought you had it solved. But now, take a moment and look at what gives you satisfaction. Which parts of your job to you enjoy most? As you look around you, which jobs to other people have that you think you would enjoy doing? Are there salary goals you have? Are there certain kinds of responsibilities and actions you enjoy doing? All of these are clues to what your career goal might be. 2. What skills will you need? After you choose a career goal, Christopher, you need to understand the skills, education, and training necessary to advance to that job. The bureau of Labor Statistics offers an Occupational Outlook Handbook that lists thousands of jobs and the criteria for them. One additional benefit is that it predicts whether the need for that specialty will be increasing or decreasing in the coming years. As you think about your career goal and the training necessary to help you advance, this can be a good source for you. 3. Where can you find the training? Once you’ve chosen the career you want, and you know the skills you need, where will you get them? Consider looking for them exactly where you are. Your company may offer the training you need. It might be through mentoring or other traditional or non-structured learning at work. Especially if you’re looking to advance in your company, this is a best first choice. You’ll learn the skills most desired by your organization. College classes or degrees may be preferred if you are looking to move a great deal higher in your company. Coaching is a valuable option to hone in on skills – analytical thinking, problem solving, decision making, team building, and other skills essential for success. 4. How can you promote your job advancement? Once you know where you want to go with your career and job advancement, you need to take steps to make it happen. Assess how much help you might get from your current employer. Ask for feedback on your current job, and let them know what your goals are. They may help you work into that job. If not, hone your skills, develop your talents, and search for a job in another market. Christopher, many people want to move ahead in their career and just aren’t sure how to get started. If you follow this plan, you can soon feel comfortable that your career and job advancement is on track to success. 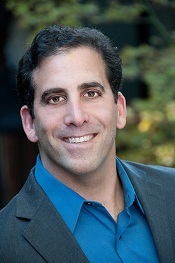 For more information about how to advance your career with personalized and individualized coaching, contact Joel. Talkback: What steps have you taken to advance your career? How did you start out? Client Emily Asks: I feel totally out of place and uncomfortable in my job. I’m a marketing manager for a major entertainment company and I’m surrounded by people who are constantly running in high gear and bouncing off the walls. I get so stressed out, some days I just want to crawl into a hole. I know I’m an introvert and I think I need a total career makeover. But I’ve invested a lot of myself in getting ahead with this company and I hate to blow it off. What should I do? Coach Joel Answers: Taking a close look at your level of job satisfaction is never a bad thing to do. Based on your description, I’d say you’re probably an introvert in a career that’s populated by extroverts. Statistics tell us that 12-25% of people in the general population are true introverts. The rest are either partial or total extroverts. If that’s true, then it’s easy to see why you feel like a square peg trying to fit into a round hole. Here are three things you could start doing immediately to change your situation. 1. Evaluate. Take a close look at who you are vs. where you are. Think about your strengths, passions, interests, and hobbies. Perhaps you love to read, write in your journal, listen to music, take walks, and play with your dog or cat. You probably thrive on solitude and feel drained if you spend too much time with other people. If you’re in a high pressure, hyperactive job, you should determine if your “quiet” needs can be met on that job or if you can get enough alone time off the job to feel satisfied. For example, can you close your office door and work on your own a good share of the time? Can you eat lunch away from the crowd, spend an hour alone at the gym or taking a solo walk? Evaluate your company as well. Since you’ve put in a lot of time and energy there, see if there’s a way to stay with the company in a position that allows you to work more on your own and less with other people. You may want to talk to your boss or someone in HR to lay the groundwork for a possible job change, even if it’s a lateral move. 2. Plan. Changing careers or even jobs is not like buying a new pair of socks. You need a solid plan, a step-by-step process to get you from Point A to Point B. The first step is to look at your career thus far (marketing) and see what jobs within that field might be a better fit. For example, could you shift into graphic design or market research—both careers that allow you to spend a lot of time flying solo. If you feel that a job change within your current field is not possible or practical, then you may want to plan for a complete career change. Test yourself, first of all, to get a clearer picture of what specific career fields might be a good fit. There are many internet sites that offer free self-analysis tests and career recommendations. You may want to work with a career coach who can help you cut through some of the clutter and develop a solid plan. You could also invest in one or more career guides or workbooks that could provide valuable insights. 3. Train. You may choose a short term solution, such as staying in the same company or field but in a new job. If that is your choice, see what training opportunities the company might offer, either in-house, on line, or perhaps even a subsidized degree program. If you design a longer-term plan that involves a complete career change, what will it be? People on the introvert side of the spectrum lean toward professions such as law, accounting, research, or technology. The bottom line is this: what will make YOU happy? What can you do now to feel more fulfilled, more excited, and more of who you really are? When you have answers to those questions, you’ll be on the right path toward a fulfilling career. 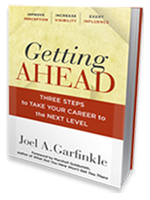 If you’re feeling stressed or out of place in your current career, Joel can provide you with helpful advice and direction. Contact him today. Talkback: Have you made a career change that worked for you? Or have you found ways to get more of what you need in your current job? Share your experience here.